Now in stock for 2014 we have a standard LED Lights Upgrade Kit for the Land Rover Defender and a NAS style LED Lights Kit for Land Rover Defenders, clear sets and coloured sets for all post 1983 90 and 110, include plinths, E marked (EU approved) and SAE approved. Why use LED Vehicle Lights? LED Lights provide increased visibility (brighter than standard bulbs) and they enhance and modernise the look of your Defender, easy to fit DIY. 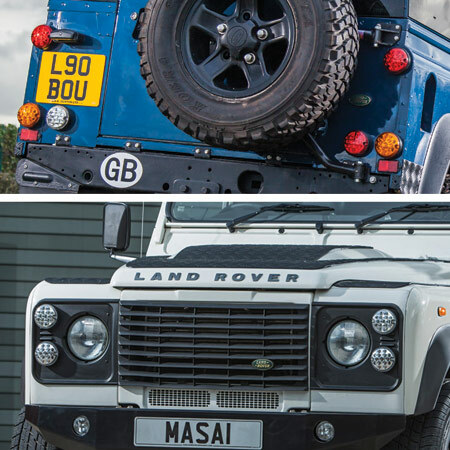 These NAS LED Lights yet again increase our wide range of Land Rover Defender enhancement accessories, something for which Masai is renowned.